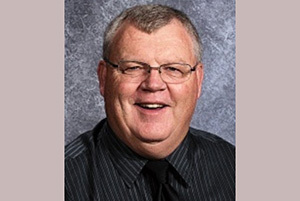 Upper Iowa University alumnus Rick Dillinger has been named the softball recipient of the 2016 Iowa Girls High School Athletic Union’s Golden Plaque of Distinction. The Golden Plaque of Distinction Award honors the Iowa coach who has demonstrated a successful career while making notable contributions toward school, community and the coaching profession. Currently the ADM (Adel DeSoto Minburn) head softball coach, Dillinger will be honored at the 2016 Iowa State Softball Tournament on Friday, July 22. A 1995 UIU Athletics Hall of Fame inductee, Dillinger graduated from Upper Iowa in 1976. As a student, he served as a coach and assistant coach for UIU women’s intercollegiate teams. A four-year football letter winner he was the Peacocks co-captain in 1975. Dillinger has completed his 40th season of coaching softball. After turning around a Danville program, he landed at North Polk in 1982. At North Polk, he guided the Comets to 11 state tournament appearances and won state championships in 2000, 2006 and 2008. Dillinger has over 1,000 career victories and has won various coaching awards. In addition to his UIU honors, he is a member of the IGCA Basketball and Softball Hall of Fames and National High School Athletic Coaches Association’s Hall of Fame. Character Counts named Dillinger as its Coach of the Year in 2011. Dillinger has been active in the Iowa Girls Coaches Association for many years. He was president of the organization in 1995-96, has served on various committees. He and his wife Jetra, have run the IGCA website since its inception. He is currently a member of the IGHSAU Softball Hall of Fame committee.